It is a record entry for this year’s African Junior and Cadet Championships holding in Ghana and it serves as qualification for the ITTF World Junior Championships (WJC) with 21 African teams slugging it out for the limited slots available for the continent from April 7 to 13 at the Sports Emporium in Bukom Accra. Also, the team that will constitute the African Cadet contingent will be selected at the African showpiece. Defending champion – Egypt will be aiming to hold on to their titles in all the events but the return of another continent’s superpower – Nigeria may pose a threat to the North African ambition. But Nigeria and Egypt will not be contending against themselves as they have to go through the likes of host – Ghana, Tunisia, Algeria, Cameroun, Congo DRC, Congo Brazzaville, Mauritius, Eritrea, Burundi, Benin Republic, Togo, South Africa, Angola, Libya, Sierra Leone, Tanzania and Cote d’Ivoire. According to the President of African Table Tennis Federation (ATTF), Khaled El-Salhy, this is indeed a record entry. “It seems we are going to have historical event with the highest level of entries since 2001, with 180 players representing about 20 countries listed for the 2019 African Junior and Cadet Championships. We look forward to an exciting tournament in a cordial and friendly atmosphere in the beautiful country of Ghana,” El-Salhy said. Even before the commencement of the tournament on April 7, Nigeria has showed its class at the ITTF World Junior Circuit after dominating the event to emerge as the best team of the tournament. 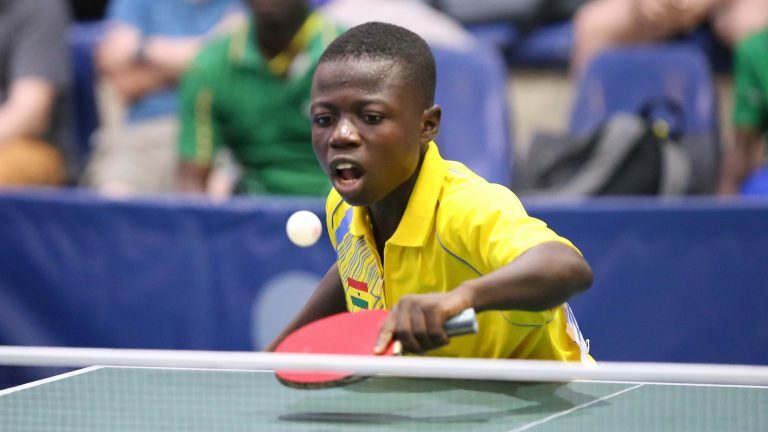 Ghana will also be relying on the skills of 11-year-old Ibrahim Gado Nuhu who claimed the sole gold medal won by Ghana at the ITTF World Junior Circuit. Already, all the teams are in Accra for the one-week battle as players and teams compete in events like team, singles and doubles in the junior and cadet categories. The top three teams in the junior team event will qualify for the World Junior Championship holding later in the year in Thailand while the best five players in the boys and girls cadet singles will form the African Cadet Team to the World Cadet Challenge in Poland later in the year.